A woman has been found guilty of "systematically abusing her position" to steal more than £800,000 from vulnerable people in her care. Dianna Turner, 53, defrauded residents of the Glastonbury Guest House in Sheffield while she worked there between 2007 and 2016. Her brothers Khalid, 59, and Waleed Rahman, 58, were found not guilty of helping to launder the money. Turner, of Ecclesfield, was convicted of two counts of fraud. Glastonbury Guest House in Abbeyfield Road, owned by David Andrews, provided supported living for people with mental health issues, learning difficulties and problems with drink and drugs. 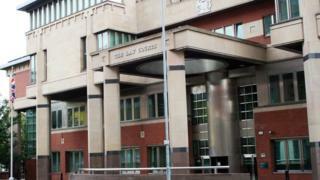 During a trial lasting more than three weeks, Sheffield Crown Court heard Turner set up a series of standing orders from residents into accounts in her control. Jurors were told she also regularly made cash withdrawals from residents' accounts. Prosecutor Tom Storey said that over nine years £363,446 was transferred into the accounts and £453,404 was paid in in cash. One resident was paying £943 per month into an account in the name of Turner's mother. Jurors were told: "Dianna Turner took advantage of her position to manipulate these vulnerable individuals and persuade them to set up these standing orders in order to defraud them." The court heard she spent some of the money on a Range Rover Evoque with a personalised registration plate - DI4NA T - and an Audi A3 for her son. Turner, who denied the offences, claimed she had set up the transfers at the request of Mr Andrews. It was alleged her brothers had allowed her to use accounts held in their names to launder the money, however both men were acquitted of the charge. Turner was remanded into custody ahead of sentencing on 3 April.